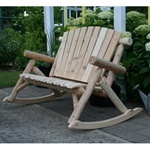 Wooden Garden Furniture & Outdoor Products | Free Shipping! 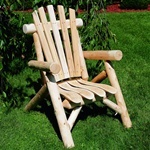 Wooden garden furniture makes a great accent to your outdoor living area. 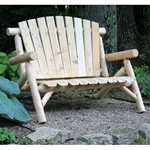 Our 100% cedar wooden garden furniture is rustic, weatherproof, and attractive. 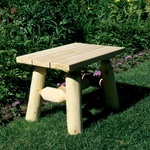 Other wooden garden furniture offerings include a park bench kit that converts into a picnic table. 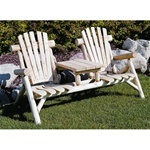 All wooden garden furniture from Home Products n' More is offered with free shipping and handling! If you're looking for a versatile outdoor park bench, our Sit n' Eat Kit is the perfect option for you! 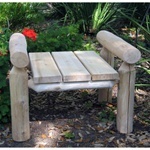 Two of these unique park bench kits can be converted quickly and easily into a picnic table. Talk about a product that does dual-duty! When you buy our park bench kit, what you get are two plastic resin end pieces and all the hardware necessary for assembly. You supply your own 2x4's to put the bench together. A total of nine 2x4's are required. 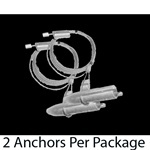 Each kit comes with a complete set of easy to follow assembly instructions. This is a great do it yourself project for any youngster! If you have a boy scout looking for an Eagle scout project, consider purchasing a few of these kits for him to assemble and then donate to a school, park, or other community area. Also makes a wonderful family project! 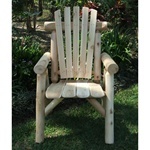 Have you seen our log cedar products? 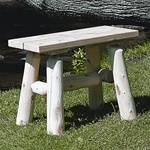 A cedar log chair or bench from Home Products 'n' More will add rustic charm to your outdoor space. 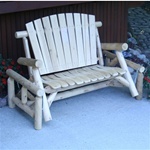 Even better, log cedar is an environmentally sound and renewable product! 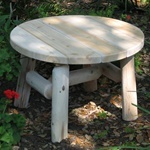 Cedar is naturally resistant to rot and pest infestation, making it a great material choice for the outdoors. 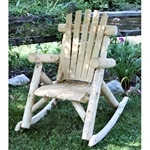 We offer log cedar chairs, love seats, rockers, gliders, end tables, and more! 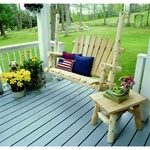 Visit our lawn and patio category for more great outdoor products. 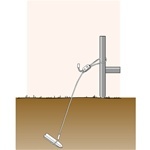 We offer a complete line of arbors, pergolas, and trellises, sure to dress up your lawn and landscape. 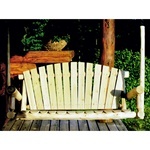 Choose from rustic wood, lifetime vinyl, or durable metal arbors and trellises. Many of these products can be painted to match your home's exterior, while others can be left unfinished for a maintenance free option. An arbor, pergola, or trellis is also a great way to bring architectural detail to your landscape design. Consider planting a flowering vine at the base of the structure and allowing it to climb upward for a wonderful focal point. This will add vertical interest to an otherwise horizontal plane.